The Foolproof And Free SEO Audit Checklist That Will Help You Triumph Over Google! Wouldn’t it be awesome to have a personalised list of actionable items to improve your blog’s SEO? And how seriously useful would you find a task list of areas in which you need to improve your blog? Well, that’s what today’s tutorial is going to give you because today I’m going to share my process for an SEO Audit – and explain exactly how you can audit the SEO of your blog. SEO Auditing this site has helped me to grow the organic search traffic to this site by 93.03% over the last 12 months. Yes, you read that right. 93.03% growth in organic search traffic. Now THAT’s why it’s important to do regular SEO Audits of your website. I’m going to explain why you should do regular SEO Audits, what to do and what you can expect from an SEO Audit. I’m also going to explain how you can do this completely free. That’s right – all the tools that I recommend that you use in this free SEO Audit are also completely free. And yes, even if you’re a beginner to SEO, then you CAN do this. And don’t forget you can ask me and my team ANY questions about this in my DNW Making Money from Blogging Facebook group. This SEO Audit is for beginners to intermediate SEO users. It is not a technical SEO Audit. However, you should have a good understanding of SEO – and you should be familiar with and understand all the terms that you find in my SEO 101 article. Better still, you will have implemented the advice that I write about in that article. I do my own SEO Audit every year on each of my sites. I believe it’s imperative to ensuring that your site – no matter what the size, or how many readers you have, or how much money you earn – is the best that it can be. Every year, I find something that I can improve. That’s not because I did something wrong, it’s because there is ALWAYS something you can improve. As I mentioned above, doing an SEO audit on this site alone has helped to increase organic search traffic from SEO by 93.03%. And it can for you too. So are you ready? Want to improve your site speed? Your search engine results? Your organic search traffic? If you’re an absolute beginner… Before we get started, if this whole idea worries you, or if there are any terms that you don’t understand then I seriously recommend that you stop reading this and head straight over to my SEO 101 article – where you’ll get all the basics of SEO in a nutshell. 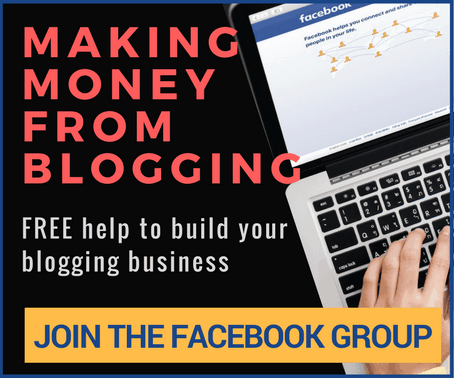 And don’t forget you can always ask any questions in the DNW Making Money from Blogging Facebook Group. Remember the goal of an audit is to find problems – NOT FIX THEM IMMEDIATELY. This process is going to identify areas of SEO that you can improve on your blog. Undertaking this audit will provide you with a list of things to do. It will find problems that you need to fix. Your SEO Audit will create you a task list of things to do to make your site perform better. An SEO audit is a systematic examination of your blog or website in order to find ways to improve the SEO of your blog. The goal of an SEO Audit is to identify problems or issues in the SEO of your blog that are detrimental to your SEO performance. The process of this SEO Audit will identify a task list of items that you should fix in order to improve your SEO performance. Think of an SEO Audit as the annual service of your blog – in exactly the same way that you’d get your car serviced or you’d take a health check at your doctor. The most effective way to do things changes. It may be subtle, or it may be a big algorithm change from Google. Human error can also creep in. Setting time aside to run a series of systematic checks to make sure that your blog has the best possible chance of performing well is imperative to its ongoing health and growth. If you’ve never done an SEO Audit then NOW is the right time to do it, but there are also other key times that you should undertake an SEO Audit. If you have an obvious problem- has your google search traffic dropped, or taken a downward trend? Then you should take a further look as to what the issues might be and an SEO Audit is a great way to figure out what the problem is. On an annual basis – it’s good business practice to set a schedule for SEO Auditing. I set my SEO Audit schedule annually so that I’m formally reviewing my sites and identifying ways in which I can improve the SEO of my blogs to improve my results. As I mentioned above, the goal of an SEO Audit is to identify any problems in the SEO of your website, so you’ll want to download my Foolproof and Free SEO Audit checklist to mark your progress. Download My Foolproof and Free SEO Audit Checklist NOW! The goal of your SEO Audit is NOT to fix any and all the problems you find immediately. And I absolutely recommend that you complete your entire audit BEFORE attempting any fixes. The first thing that you want to do with the results of your SEO audit is create a list of things that you need to do to fix problems. Then you can tackle them, as a whole. Trust me. Complete your audit, make your list and them put together a plan to resolve any issues. How many problems will your SEO Audit find? You may find very few problems – and congratulations and great job if that’s the case. You may find minor problems to resolve. If this is your first ever SEO Audit then it will all be new to you and you may find more issues to resolve than if you’re a regular auditor. What I can tell you is that this is a seriously worthwhile use of your time because every problem you resolve will result in increased SEO performance. The best way to start your SEO Audit is to download and print off the SEO Audit Checklist. Read through this post in its entirety. Several times if need be. You do not have to do the SEO Audit all at once. You can break it down – and look at each individual task at a time. But you do need to start. Ask any questions in the DNW Making Money from blogging Facebook Group – use the hashtag #SEOAudit to help me find your questions. Be sure to check off the tasks on your SEO Audit checklist to mark where you’ve got to. Try not to be tempted to resolve any problems as you go through the SEO Audit. Just create a task list of problems that you need to resolve. Ready? Let’s dive in. Don’t forget your copy of the SEO Audit Checklist to keep track of your progress! To see if your site is indexed by the search engines (and we’re going for focus on Google here, but the same applies for Bing, Yahoo etc.) simply enter the URL of your domain with “site:” before it into the search engine. Make sure that you have no spaces between site: and your sitename. My image just shows the number of pages indexed and also the top results. The results that you will see will show all of your blog’s pages that have been indexed and the Meta tags associated with them that the search engine has indexed. The number of pages should be similar to the number of posts and pages you have on your website. If the number of pages is roughly what you have this is an ideal scenario and your site is being indexed, your pages are being crawled. If you don’t see any pages, then your site has not been indexed. If the count is much smaller than the actual number of pages on your site – Google is not indexing parts of your site. If you have results that indicate anything other than the first bullet point, mark it on your SEO Audit Checklist and continue with the SEO Audit. Your blog’s sitemap helps search engines crawl your site to find all your pages. Your sitemap is generated by your content management system (in my case WordPress) and should be submitted to Google via Google Search Console. This is easy to check whether there are any errors or not. Go to Google Search Console (GSC) and navigate on the left-hand side to sitemaps. In the main screen, you’ll see your submitted sitemaps. If there are any errors they will be identified here. If you have errors, mark this on your SEO Audit Check List to review and resolve. It’s important to make sure that all the pages and posts that you want Google to index are actually being indexed. Again, go to Google Search Console. The start of all the navigation in Google Search Console is in the left-hand side column. Navigate to the Index, Coverage and you’ll find the Index Coverage Report. This will show you a list of pages and posts that Google is unable to index (if there are any). In the main screen, as you click on the columns of Error, Valid with Warnings, Valid and Excluded they will colour and you’ll see the details below the graph. These details are clickable for when you come to resolve any issues. Here’s an example from DigitalNomadWannabe. Mark on your Free SEO Audit Checklist if you have any issues to review here and move on to the next step of your SEO Audit. Three of these versions of your site should redirect to a single one – depending on whether you have decided to display the “www” to the public or not. Regardless of the www or not, the site that you display to the world SHOULD be https. If you do not have HTTPS enabled on your website, then you need to enable that ASAP. Mark this on your SEO Audit checklist as an additional item and read about how to enable HTTPS here. If you do not redirect these versions of your site properly then Google thinks that they’re separate sites. And that is going to cause you problems. The easiest way to check this is to type all 4 different versions into your web browser. They should all resolve to the same URL. If they don’t then you need to mark this on the list to resolve. Google Search Console is REALLY helpful when it comes to auditing your site for SEO. Search Console reports areas where you have duplicate page titles, duplicate meta descriptions and more. You only have action items in this area if there are items mentioned. Here’s a report for DigitalNomadWannabe that indicates there are no issues to resolve. Join my free SEO Boot Camp – How To Get Crazy Amounts Of Blog Traffic And Watch Your Income Soar. In this 60 minute training, I’ll teach you all the basics of SEO – like finding and using keywords and how to write the best quality articles to improve your search rankings and get maximum traffic to your blog while making money! It’s really important in 2019 as part of your SEO Audit to check that your site is mobile friendly. More than 50% of searches on google now come from mobile devices. Google also announced in 2018 that they would be rolling out mobile first indexing – which means that they are storing the mobile version of your website FIRST – as well as the desktop version. Stay with me, this is EASY. Google views mobile friendly as a strong ranking factor, but this is an important consideration for your readers too. If they access your site from a mobile device and it’s a bad experience they’ll leave, so your bounce rate increases and your search rankings go into a downward spiral. So it’s not just important that your website is mobile friendly, it’s imperative. There are two tests to do to check if your site is mobile friendly – and they’re simple to do. Don’t forget, we are not trying to fix any problems we find, just figure out if there are any problems. The second check that you can do for mobile friendliness is within Google Search Console. Google will give you a list of issues to resolve if you have any. The new version of Google Search Console also provides some great information on how to resolve issues that it identifies. Open Google Search Console and click on the Mobile Usability in the left-hand side navigation area. You’ll see from the image that I have 1 error to resolve for this site at the time of my SEO Audit. In this part of the SEO Audit, we’re going to check that you rank for your brand name. Go to Google and search for your blog name. Unless your blog is really new, or your brand is a generic name, then I’d expect that your blog would be the first organic search result that you see. The first result that you see should also be your home page. If you’re not ranking in position one, but are further down, then Google thinks that another site is more appropriate than yours. If this is the case then mark on your task list that you have work ahead of you in this area. The most usual work that you have to do is link building – in order to get more external sites pointing to your blog. There are a number of ways in which you can build links – and a great way to start is to join my link building challenge. Join the Link Building Challenge NOW! BUT, don’t stop here – it’s important to continue with your SEO Audit and ensure that there are no other issues stopping Google from recognising your site. A penalty from Google is usually the result of an update or change to Google’s search algorithms. It can happen at any time. Penalties are usually applied if Google believes that you’ve been undertaking black-hat SEO Techniques. Basically, you have broken Google’s rules or Google suspects you have. It means that Google has either removed you from their search results, is threatening to remove you or has decreased your visibility in search results. Most of the time that people think that they have been penalised by a Google update, it’s actually not the case and there has been either a small change in search engine rankings or a mistake in no indexing some content. That’s why it’s important to go through this entire free SEO Audit to identify all issues and make sure you have the full picture. A real penalty will be usually very obvious. You will have been completely de-indexed and you’ll have received a message in your Google Search Console Webmaster tools account. How to see if you’ve been negatively impacted by a Google algorithm update or if you’ve received a penalty. You need to be logged in to the Google account that manages your Google Analytics Data and Panguin will ask for permission to view this data. The tool then displays your Google organic users against a timeline of known and guessed Google algorithm updates. As your data is graphed against the updates, it should be relatively easy to see if your traffic took a dip or a dive after the updates. This is why it’s really important to keep a log of changes that you make to your site (and also backups) so that if something does go wrong you can quickly work back to what changes you’ve made and reverse them if necessary. If you have received a notification from Google or if it’s obvious that there’s some penalty been applied then the best investigative work that you can do is start searching SEO related news sites (Barracuda Digital is a good start, so is the DNW Making Money from blogging Facebook Group) to try and identify what changed. Broken links on your site are both bad for user experience and for SEO. Checking for broken links is an important element of your SEO Audit and they’re easy to find and fix. There are any number of reasons why a link might be broken. You may have run a blog collaboration and one of the sites you collaborated with changed something. You may have mistyped a URL when adding a link. You may have deleted a low quality, low-performance post without redirecting it and left an internal link. The two best ways to check for broken links on your blog are as follows. The easiest way is to use a free website checker called BrokenLinkCheck.com you can click on the links in the report it generates to find the broken link and the page it came from. Here are the results of a check I ran on DigitalNomadWannabe. Yes, I have a few links to check and fix here. I don’t just do this check annually, this is one of several items that I have my VA check on a monthly basis. There are also a number of WordPress plugins that you can use – but YOU DO NOT NEED TO INSTALL a plugin to do this. I have found that plugins of this type definitely slow down your site. The brokenlinkcheck website is a great tool you can use at any time to check broken links on your blog. Google Search Console will also show you if you have any broken links. If you are a user of the “old version” of Google Search Console you will remember this as Crawl Errors > URL Errors. This report is moving to the Index Coverage Report, which I discussed in step 3 above. Whichever way you have decided to review broken links, mark down your progress and let’s move on with the next step in your free SEO Audit. It is normal for websites to have a number of “weird” links to them and depending on how many inbound links you have there might be a lot of them. Reviewing these inbound links on a regular basis is important in order to understand when your site might be under a negative SEO attack. What you are trying to identify in this part of your SEO Audit is when links to your site are out of the norm – and it’s usually very obvious. I’ve had this happen to me several times – and the easiest way to show you how to check this in this post on Negative SEO. This video shows you how to download details of external sites linking to you. Watch the first video in the Negative SEO attack post to understand how to deal with a Negative SEO attack as part of your SEO Audit. The structure of your site is of the utmost importance for passing on the benefits of links and for user experience. You may also see this referred to as site architecture. Fabulous site structure is at the core of SEO. A great site structure or fabulous site architecture helps Google and readers navigate through your site quickly and easily, finding the content that they’re looking for. Make it difficult and both will stumble and go away disappointed. A great site structure tells readers and Google which posts are the most important. The closer they are to the home page, the more important they are. The best structure is to make it as flat as possible. You do not need to overburden your site with huge numbers of categories and sub-categories and sub-sub-categories. I recommend that you should be able to get to ANY page on your site within 3 clicks of your home page. A great user experience is reflected in Google rankings because the more readers navigate through your site, the longer their time on page and the more benefit Google will give you. It is also a SEO benefit because a good site structure generally means you are more likely to be using good internal linking (more about this in the next step). Good internal linking passes around the benefit of links to your site to every post on your site giving them the maximum chance of search traffic. When you started your site, you most likely designed and planned a site structure. Inevitably these things become more complex. An annual SEO Audit is your chance to review that structure and ensure that it still meets the requirements of your site today and to ensure it’s simplified. Can you get to each page/post on your website within 3 clicks? Is the structure still logical today? Do you need to add internal links to existing pages or sidebars to ensure that you can get to all pages within 3 clicks of the home page? By now you know this process, so mark things off on your SEO Checklist and let’s move on. In the same way that external links to and from your site pass link juice, so do internal links. As part of this SEO Audit, you should check that you are internally linking from your home page down to next level in your structure (usually categories) and from there to pages and posts in your structure. Make your home page and major category pages your focus for this SEO Audit and check that you are linking both down from them and back up from posts to your categories. Check also that your high performing posts are passing the benefits of any links to them to lesser performing posts by ensuring they have internal links within them. Check that you have no orphaned posts (i.e. posts with no links to them or links from them). If you use Yoast SEO, you can see this from your post dashboard. Make it part of your regular content updates and optimisation (see details later in this post) that you are ensuring that you have internal links in all your posts. Your blog’s load speed is a key factor for SEO and User Experience. If your site is slow it will impact your rankings in Google. It can also impact how long readers stay on your site and how they interact. A Kissmetrics report found a whopping 40% of users abandon a page if it takes more than 3 SECONDS to load. 47% of consumers expect a page to load in less than 2 seconds. Here, I’ll give you 3 ways to check and test your site load speed. Start with Google Page Speed Insights. This is a simple test. Put in the URL of the page you want to test and Google will give you the results for both desktop and mobile. You should check both your home page and several posts or pages too. Try putting in several of your high performing pages for traffic to check whether their speed can be improved. You want your results to be at least average. The higher the better. Two other page speed checks that I run in order to identify speed problems are Pingdom and GTMetrix. All three of these checks will show you areas in which you can improve and link to further information on how you can do this. Although I’ve included this as part of my recommendations for your annual SEO Audit, this is something that you should set up on an ongoing basis. Don’t just trust your host to say that your site is always up or that your SSL certificate is still valid. You can set up (free) automated monitoring with UptimeRobot. This site monitors your website and can be set up to notify you if your website is down or if there is a problem with your SSL certificate. The best way to check and monitor your uptime is to set this up and be notified by email if your site is down. This is a quick an easy check. It’s very, very simple. Check not just your home page, but several pages and posts. On phones and tablets, flip the screen and look at it in both views. What you’re looking for is simply to check that you can effectively view and read the content on the pages and posts. If anything looks odd, then add it to your “fix” task list. Make sure there are no spelling mistakes. Check also for any major grammatical errors. Look for punctuation errors. This is important not just for user experience, but also for Google, which is always looking for quality content. It’s always tough proofreading your own content, so try asking a friend, family member or a fellow blogger, or copy your content into a proofreading tool like Grammarly to run a quick check. Irrelevant Content – perhaps the focus of your blog changed and where you once wrote about Parenting and now your focus is on Pet Blogging. If it’s either of the three above or not something that you would write or publish today then it fits this category. Make a list of all the content that fits here. You should be able to find it by reviewing posts in the WordPress dashboard and you probably have a good idea as to which content fits into these categories as you’ve probably been trying to ignore it for some time! Don’t worry about posts with low traffic, not all of your content can be superstar content, it’s low and bad quality that we are looking for here. This low-quality content is dragging down the rest of your site from performing and it needs to be dealt with. When you have made your list (and completed your SEO Audit) come back to this section and here are the actions you need to take. You’re going to remove this low-quality content from your site. You can do this in two ways, you can either delete it, or most people feel more comfortable in moving it back to draft until they are ready to delete it. If you have similar content to what you are removing, then set up a redirect from the URL that you are removing or putting back to draft. If you do not have similar content but the low-quality content receives some traffic or has any links to it then set up a redirect to your home page. If you have a lot of low-quality content, then I recommend spacing out your updates. Only do 10% of your content at a time, space it out with about a month in between. Duplicate content can confuse Google. Whether your content is on multiple pages on your own site (what we are concerned with in this SEO Audit) or other pages, Google won’t know what to rank first. Duplicate content is defined as identical content contained on two or more pages. How much duplicate content is an issue? Small amounts are fine, a paragraph here and there, and I hesitate to give a specific percentage, but if you’re seeing 20%+ of duplicate content, then you want to take a serious look at the issue as you’re only hurting yourself. There are lots of tools to help you find duplicate content. For the purposes of this SEO Audit, we recommend using Siteliner, this is a free tool from the Copyscape folks. While Siteliner will only check 250 pages on your site for free, it also gives you a ton of additional information, like the average number of words you have per page and the number of external links. Here’s a warning – DON’T GET LOST IN THIS REPORT. Stick to what you came here for, get your audit results and then if you have time afterwards, go back and explore more. Click here to start your duplicate content audit. The results will be displayed in a report format and you’ll be able to click on and see the pages of your website with the duplicate content highlighted. A word of caution: You’ll have to review the results carefully – as remember, this is an automated check, so it will pick up common phrases that you use and sometimes snippets that appear on category pages. But, that said, this is a good process to go through in order to highlight if you have any major problems. If you do find issues, mark it on your checklist and let’s get on with the next step in your SEO Audit. Google’s acronym for authoritative trustworthiness (try saying that after a glass of wine!) of sites is E-A-T.
E – A –T stands for Expertise, Authoritativeness and Trustworthiness. It is THE metric by which Google measures and ranks your pages. What it actually translates to is that Google wants pages to have these following characteristics. Have enough content to answer the user’s reason for visiting that page. That users can easily find the information that they want. That the website is updated, edited and maintained regularly. To translate that into what that means for you and your blog. Your blog needs to show your expertise in the area that you write about. Readers need to be able to find content on your site easily. Each piece of content that you publish needs to be relevant and supportive to other pieces of content. And with regard to your About page. Make it easy for Google and your readers – call it what it is – your About page. You should put your name on it. If you blog under a pseudonym, then use that, but you should be consistent. Put a Photo on it. Of you. Your face. Of how you want to be known and seen. You want your readers (and Google) to know you. Yes, you can put video on it, but don’t make video the only thing, Google and your readers need text too. Don’t like video? Don’t worry about it. Write your About content in a concise, crisp, clear and interesting tone. Don’t drone on. Remember that this About Page is for your readers – so you’re looking to resonate with them and indicate how you help them. Got it? It’s all pretty obvious when you read it like that. Now go on to your About page and check that you’re doing each of those 7 points. If you don’t have an about page, or when you review it critically, it’s not matching those 7 points, then mark it on your SEO Audit task list and let’s move on. We’re still following Google’s E-A-T guidelines and I’ll refer you back to the requirement to have a Contact Page that I mentioned above. Whether your contact page is a web form, a list of your social profiles, a link to your email address, your phone number, is up to you. But it needs to be there. Go ahead, check you’ve got a contact page. Check that the links on it work. A website disclaimer page is a legal notice that covers some of the issues that could arise out of operating a blog or a website. It should state the limitations of your liability for the information that you are providing. Having a disclaimer on your site isn’t going to stop any possibility of a lawsuit, but remember, this is about your SEO Audit, not legal and business advice. Publishing (and reviewing on at least an annual basis) a disclaimer is another key element of proving your trustworthiness as a content publisher. So, review your disclaimer page. If you don’t have one, mark it on the list to develop and publish. If you do have one and haven’t updated it in more than 12 months, put it on the list to review. Ready to move on? You’re doing GREAT. Remember this is a process that will help your search rankings, and improve your blog, so let’s keep going. This whole section is about demonstrating trustworthiness and authority, so when it comes to selling products you need to go a step further. Your readers become customers and it’s important for them to understand what your terms and conditions are and what your refund policies are. This is a business you are running, you should get advice on the right terms, conditions and policies on refunds for the geographic area in which you operate. In terms of SEO – what you are looking to do is provide evidence of your trustworthiness when it comes to selling, supplying and potentially having products returned to you. You can find a copy of my terms and conditions here, but I urge you if you have moved into selling products (or services), to seek advice and protect both yourself and your clients. Trustworthiness for Google ranking is absolutely key. And yes we’re still in that section. You may be lucky enough to have multiple contributors to your blog. Or it may simply be a one person writing operation. However many authors you have, they all need to have a profile. This is in addition and separate to your About page. This can be a really quick win for you and the SEO of your site. For the purposes of the audit, you need to check that you have an author profile on each post. You also need to check that your author profile is the best that it can be. I love having photos on author profiles too to reinforce the plan to have your readers get to know you and engage with you. Remember you are doing this to improve the SEO of your site. This element is about proving your trustworthiness and authoritativeness to Google and your readers. So even if you have an author profile, let’s ensure that you’ve reviewed and updated it (and make sure content matches your About page). You might not like the idea of having your full name on your author profile on posts, but adding it is going to give you measurably more E-A-T benefits than leaving it off. You’ll likely already added it to your about page. Let’s ramp up the trustworthiness and get it on here as well. Remember, you’re making a list at this point and coming back to any actions later. So jot it down and let’s keep going – the end is in sight!! User-generated content on your site usually takes the form of comments that readers leave on your blog posts. If you are not moderating this content then you should be. There are automated anti-spam controls from plugins like Akismet Anti-Spam which allow you to set controls and automatically mark obvious spam as spam. Akismet is available for free. Whether you decide to use an automatic spam comment control or not there will be an element of manual approvals and review that you should do. If you are using the native WordPress comments, here’s how to review user-generated content and comments as part of your SEO Audit. Navigate to the left-hand side and select comments. You’ll be able to select all, pending, approved. Does the comment add to the content or detract from it? Does the comment have a competitive link included within it or in the comment field? Most blogs make their comments no follow – have you made your comments nofollow? Review the above questions and make decisions based on what’s right for you and your blog. Remember this is your real estate and you are in control of it. You make the decisions as to what to keep and what not to. After this exercise decide what your rules will be and set up your comments to be moderated from this point forward if you haven’t already. This next exercise requires you to review a selection of your blog posts from your reader’s perspective and it’s with regard to advertisements that you may have running on your site. If you do not have advertisements on your site then check this as done and move on. Can you read the content on the site effectively without the ads detracting from the experience? Do the ads cover content? Make it difficult to read? Consider where your readers view your content from – if you have a high percentage of mobile views, review your selection of your blog posts from a mobile device. If your readers are viewing your content from locations where you know the internet access to be slow put yourselves in their shoes (I’m prompted to write this by one of my team, travelling in South America with slow internet that seems to exhaust itself loading Mediavine adverts before it loads content. This will contribute to high bounce rates). If advertisements on your site are detracting from the user experience then this will impact your reader’s experience and your SEO results. It may not happen today or tomorrow, but if readers don’t get access to the content they will leave and not return and that will hurt your search traffic. When you get a reader to your page it’s a huge win. It’s a bigger win keeping them there. Social sharing plugins are an excellent resource to improve your social proof and drive further traffic to your site. However, you should review how they look on your site and how they perform. Many plugins change with updates, they conflict with other plugins on your site. Where you are adding additional content to the page (like a social sharing bar or icon), you need to ensure that your content is still the prime attraction. Create a selection of post types and page types. I recommend 1 or 2 pages, 1 or 2 posts in different categories on your page and your home page. These should be top performing pages where you get good traffic so you know that readers are consuming this content. For each page review from at least two desktop browsers (I recommend checking Google Analytics to find which are the most popular for your site. Or just select the most popular Chrome, Safari and Firefox). For each page, review from at least one mobile device – if you are able to review from both IOS and Android devices all the better. Scroll through the page. Can you read all the content without the icons overlapping the content? Are the social sharing results what you expected? Did your Twitter share include your Twitter @username? If you’re using a Pinterest sharing icon, do the images that are promoted to the user reflect what you want to for this page? Obviously, there are two elements to this part of your SEO Audit – you’re looking to see if the content is readable or impacted badly by the social sharing icons. You’re also looking to see that the social sharing plugins perform as you expect. Depending on your results mark these on your SEO Audit Checklist and add to your task list if you have items to resolve. In the language of the web, HTML runs with “tags”, which are simply characters that come together to create a command. These commands tell the browser how all the parts of your web page should be structured. The “Meta” tag or description is just a tag that provides an overview of what the page is about. It’s the content that users (usually) see in search results and what prompts them to click and head over to your website. A key area that can improve your SEO is the meta description of each page on your site. As part of this SEO Audit, review the primary pages that you want to see in search results. Be realistic about how many you include as part of the audit I’d suggest no more than 5 to make this a manageable number. Unless you have updated them in the last 30 days, make an action to review them and update them. I recommend that you also add this as part of your process when updating and optimising posts. Ensure you have no duplicate meta descriptions (see HTML Improvements). Each post on your website is different, and so the Meta description needs to be different too. If you have lots of meta descriptions make a task to revise all of them – tackle a few each day. If you did just two each day, then you can optimise more than 700 meta descriptions in a year! Use actionable, proactive language. Tell them to read your post! Boring doesn’t win search results. There are two elements to images and SEO Audits. The first is the size of your images. If your images are huge then this will slow down your page loading. So first identify if you are compressing your images. If you’re not compressing your images, then mark this on your SEO Audit Checklist as an item to do. Images are great for readers. So long as they are relevant. In this second part of our Image SEO Audit, we are going to look at relevancy and metadata. Image file names and ALT TEXT: Google’s search engine isn’t like the human eye, it can’t process the content of the image so it relies on the information provided by you to understand what is contained within the image. There are two areas in which you can tell Google this information. The first is in the file name or title, the second is in the ALT TEXT. ALT TEXT or ALT TAGS are used within HTML code to describe what is in the image. It’s also what visually impaired readers pick up when using screen readers. Are all the images on that post relevant and supportive to the content that surrounds them? Have you completed the image’s “ALT TEXT” with similarly relevant content? If the answer to any of these three questions is NO, then mark down that you need to review and update them on your three posts. When you are optimising and updating other content you’ll want to add this to your optimising list. Page titles are essential for SEO. Page titles are one of the most important parts of on-page SEO which is why I’m dealing with it separately from the on-page SEO audit content that you’ll read about next. Understanding what keywords your posts rank for is easy in Google Search Console (I cover this in my 10-minute tip to get thousands more page views ). Some of the keywords you rank for can be intentional, others may come as a surprise to you, especially if SEO is relatively new to you. Page Titles specifically are an area where you can quickly change SEO elements to try and rank higher. You can also find out from Google Search Console your click-through rate – i.e. the percentage of search users who click on your link from search results. There are some excellent statistics on click-through rates here. Here are some examples of different length of page titles that I have on DigitalNomadWannabe. Moving up the search rankings can have a significant impact on your organic search traffic. Using keywords in your page titles can help to rank your pages higher in Google results. However, stuffing your page title with keywords is something that Google is also looking out for and will penalise. Google asks you to write a page title that reads naturally and effectively communicates the topic of your content. Check that your main keyword for that post is in the page title. Can you make it better? More actionable? We’ve only chosen five posts for this part of the audit. Try and make them different posts to examples that you’ve used in other parts of this SEO Audit. What you should do with all your other posts and their page titles is include them in your process for updating and optimising all your content (there’s more on that to come). On-Page SEO is so big and so important that I could probably have written an entire on-page SEO audit by itself. You will have noticed, though that I have touched on elements on on-page SEO auditing throughout this wider SEO audit and that’s to break it down into more manageable tasks. I’m going to focus in this part of the SEO Audit on the key areas to look at for on-page content. And for the purposes of the audit, we’re going to again select five posts. Try and make them different to posts that you’ve already selected, so you get greater impact from this SEO Audit. However, I do recommend that (as I mention in point 33) you see the benefits of the actions of this audit and you’re able to schedule time in to review all your content and apply the actions that we’ve been discussing here. 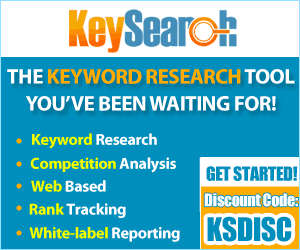 Is your main keyword in the first two paragraphs or your post? Do you have three internal links FROM this post to others? Do you have three internal links TO this post from others? Although you’re not going to make these changes now, these are EASY updates to make. Once you’ve seen how easy, I can guarantee that you’ll be reviewing more posts and updating them too. But for now, let’s keep focused on the end game – a complete SEO Audit Task list! Google likes posts that have aged, but also that have fresh content. To read that another way, Google likes content that has a history, but has a history of being updated with new information too. Times change and information also changes – take my post on the best Email Marketing Solutions to use – when I first wrote it in 2015, I recommended a different solution then because of the tests I put the solutions through, it was the best for my needs at the time. My needs changed in 2017, so I updated the post and added GetResponse, which became my solution of choice. Roll forward to 2019 and I added a further 2,000 words to this article, revised all the information (all the solutions now have a huge number of extra features and pricing has changed significantly). If you don’t optimise any of your posts to take into account changes, you are seriously missing out on traffic and readers. To review the effectiveness of this task mark down the traffic that they have received over the last 90 days, their click-through rate and the number of keywords that they rank for (you can find all of this in Google Search Console). I’ve suggested six posts for this task as using my 10-minute tip for optimising posts, this will take you around an hour to complete. Again, your task for the SEO Audit is to make your list, come back to the task when you have completed the audit. I can’t emphasise enough how much impact this part of the SEO Audit can have on your search traffic. This is something that I do religiously every year. Your top performing posts are already getting traffic from Google organic search, using the best guide on the internet to make them even better is a superb use of your time. For the purposes of the audit – and mark this in your calendar for next year too – make a list of your top performing content. Depending on the time you have available to do this I’d recommend as many as you can, but certainly, your top 10 posts should be on this list. I do this for every post getting more than a couple of hundred page views a month from Google. Add new relevant sections, can you add a further 10% of content at least? If you care about Google then you need to understand and care about nofollow links. If you don’t use follow and nofollow links appropriately then you risk a Google penalty which means that your site is removed from the search index and you stop appearing in search results. Whenever you publish a new post you should make this one of your final checks before you hit publish. In your SEO Audit, you should take a random selection of posts and check that relevant links are “nofollow”. I also recommend that when you are optimising posts (see point 33 above) you also make this part of your checklist. There’s a whole lot more to “nofollow” links – so I wrote an entire post on them. Read my expert guide to “nofollow” links. Third party sites that you link to are important. And it’s important to have external links in each of your posts (at least one per post is my guideline), often these are to support commentary that you make within your post. You’re giving a vote of confidence to these external sites, especially if your link is “dofollow”. Therefore, it’s important that you review a percentage of your external links during your SEO Audit. This is especially important if you are linking to anything in any way controversial. In this SEO Audit, I recommend you select a small number of posts and review the links – to ensure the content is still relevant and supportive. However, I recommend you make this part of your ongoing optimisation and updating, rather than updating all the external links on your site at this time. In order to see if you are making improvements, you need to put a stake in the ground as to where you are now. Making positive changes to your SEO won’t give you overnight results, SEO takes time, but the results of your SEO Audit will at least help you to understand the areas in which you can make changes. So let’s now put that stake in the ground and audit where you and your organic search traffic is now. We are going to analyse your organic search traffic and put a plan in place to review any trends as you move forward. First, you’ll need to run some reports in Google Analytics. Select the time period that you wish to look at and review. I am using a 12 month period which takes into account any seasonal trends (because you guys all take time off reading my site over the December holidays it seems!) and also because SEO is a long game. This is the exact report that I produced to share with you the figures that my organic search traffic increased by 93.03% from 2017 to 2018. There’s no right or wrong answer here. What you’re looking for is just the data. Where are you now? If your search traffic is flat, declining or ramping up massively you’re just going to make a note of it. And each time you undertake an SEO Audit you’re going to come back to that data and review how you’ve done in the interim period. You can see my organic search traffic tailing off from November into December. No. Because I’ve seen a similar trend for the last three years. What I am going to do is use this data to plan my SEO task list and content schedule for the year with a focus on what content will keep my organic search traffic heading upwards at that time of year. So, make a note of where you and your organic search traffic is and give yourself a huge pat on the back. Your work is both done and just begun. For all those who have made it to this point, congratulations! I truly hope that you’ve found this process interesting and informative. SEO isn’t a one-time hit, this is an ongoing exercise in improvement. If you follow the recommendations above, it is almost certain that you will improve your rankings and organic traffic levels. This SEO Audit has most likely generated an extensive task list of improvements that you can make to your blog. I hope, like me, you’ll see them as individual items in part of a bigger project, that you can check them off line by line. I get great satisfaction from seeing each one completed and reviewing the results in 3, 6 or 12 months’ time. 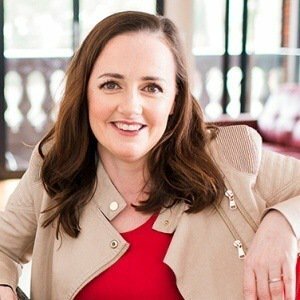 If you want assistance with understanding more about SEO and exactly how to implement it correctly on your blog, join Build Blog Freedom Fast Track which is a 10-week program where I walk you through everything you need to know and do with SEO and affiliate marketing. You also receive access to a full SEO course. I would love to keep track of your progress – share your questions, results and findings with me and the rest of the DNW community in my Facebook group and let’s collectively triumph in the SEO game!